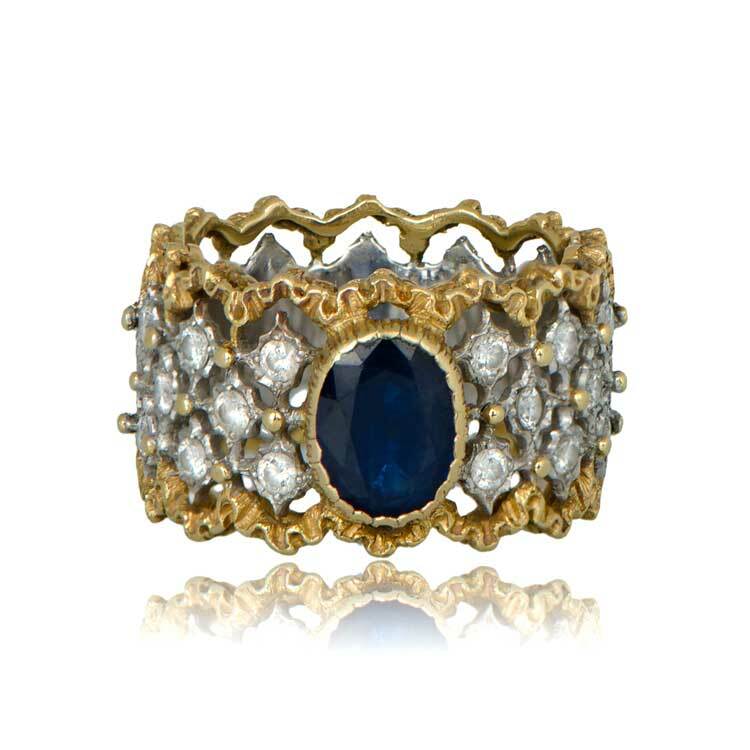 A beautiful Buccellati Vintage Ring, featuring a stunning oval-cut deep blue sapphire, and adorned with diamonds. 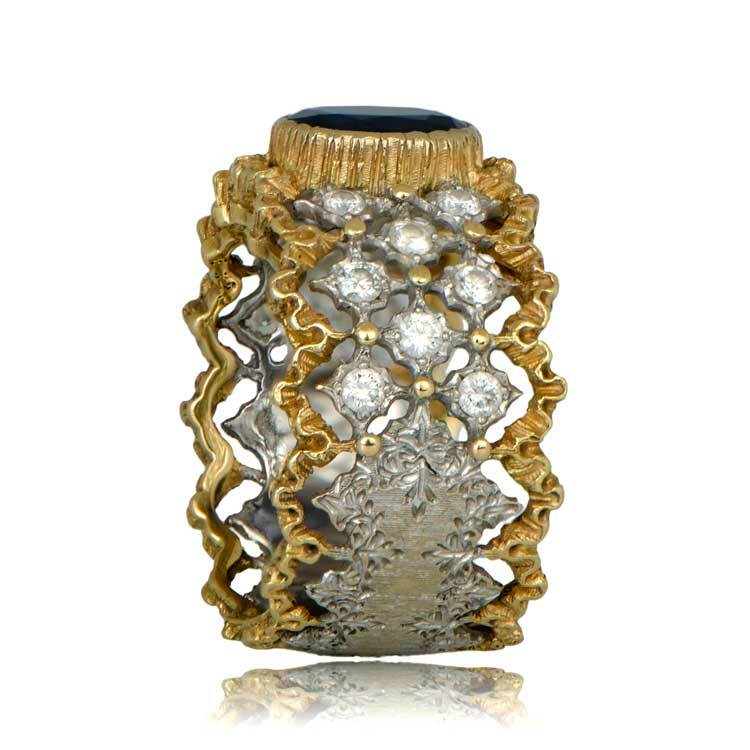 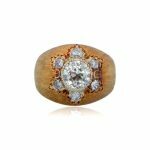 The lacy openwork two-tone 18k gold is studded with diamonds, and leads towards a lovely hand engraved lower shank with a floral motif. 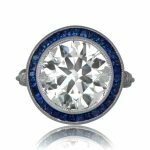 SKU: 11325 Categories: Buccellati Jewelry, Diamond and Sapphire Engagement Rings, Sapphire Engagement Rings, Signed Engagement Rings, Vintage Cocktail Rings - Contact us and request additional pictures.